As the birthplace of Bang & Olufsen, Lego and Pandora, Denmark seemed particularly well-suited to host Shoptalk’s first European conference. Retail leaders from around the globe descended on Copenhagen to hear 225 speakers from brands including Zalando, eBay and Alibaba. Thinking of attending next year? We were impressed by Shoptalk’s content, approach and variety of delegates. Here are our top 6 takeaways from this year’s event. Technology is no longer an implementation detail, it is central to an organisation’s ability to survive and thrive in a competitive market. Change happens quickly. In 2009 Zalando’s online sales in Germany were less than €10m … they are now the biggest online fashion retailer in Europe. In the same period, Amazon became the biggest apparel retailer in the US. Retailers with exceptional technical capabilities will eat share in challenging times. How can retailers increase their technical proficiency? Volker Pilz, Zalando’s Head of Engineering offered some insight. He explained that Zalando moved from having a central technology function to ensuring technologists were distributed in teams across the whole organisation. ‘Tech’ isn’t the job of a distant IT department - it must be seeded throughout the value chain. Companies who are building solutions designed with agility and scale at mind are getting ahead of those encumbered with costly, slow-to-change legacy technology. Shoes that can order pizza. Fridges that act like phones. Smart hair combs that offer brushing insights. Simply because something is possible, doesn’t mean it should be done. It can be tough for retailers to decide where to direct their innovation spend and efforts due to technology’s dizzying possibilities. Couple this with the long list of emerging technologies … drones, AI, AR, VR, Chatbots and so on. The retail industry features no shortage of “VR for PR” style innovation stunts - those that generate some short-term attention but little lasting customer impact. In a world of ubiquitous smart tech, Wilhelm Oehl, Partner at Eight Inc, the design agency responsible for the Apple Store offered a tasteful counter perspective. He advises retail organisations to focus on the “design of meaningful human experiences’. Experiences with emotion and purpose that change the way people think, feel and do”, those which add value. In the experiences that he has showcased from Shimano and Apple this value is evident. Start with how you want people to feel and what want them to be able to do, then add technology around that. Think about retail and brands 15 years ago. Where did the power lie? Who owned the customer? It was often the aggregators, the ‘house of brands’ style businesses that brought together a breadth of brands in prime high street real estate. The only route for manufacturers and those without a brick and mortar presence tended to be in a shop window. But the balance of power is shifting. It has never been easier for brands to gain visibility on Amazon or Google. We heard brands talk about customer management, customer data, and how they are leveraging this back into their manufacturing and supply chain processes demonstrates a big shift away from the traditional wholesale model. Retailers need to find the next big thing or the area which sets them apart. Amazon with their logistics and technology focus, Debenhams foray into beauty with Blow, or JLP’s meal subscription Cookwell, business model innovation is of paramount importance before the vertical integrators own it all. Sorry, when do we want what? Sometimes computer intelligence falls short. Nonetheless, presenters and punters at Shoptalk spoke of intelligence in the supply chain, for customer service, design and merchandising. We’re not there yet, but the promise of AI is huge. Even with a rather wide gap between promise and immediate reality, retailers need to prepare their organisations so they can pounce when technology takes off. Is your data clean? Can it be easily sourced? Do your systems support rapid learning? It’s an overused term, but AI is on the road to elevating automation. Computers making decisions on past and future events have been in situ for many years, but advances poise AI to change how companies are structured and how people work. Whether that is how they handle returns, how they curate their website based on weather and shopping history, how marketers make decisions on what campaigns to run - the technology to make this happen is very real. Westerners visiting China’s top-tier cities for the first time could be forgiven if they mistakenly believed they had walked onto the set of the super futuristic Blade Runner. The importance of China is twofold: 1) it serves as a ‘window’ into the future, particularly for where mobile is heading and 2) its exploding consumption (and thus, growth potential). Need to order dinner? Newer spots might not even feature a register or a physical menu. 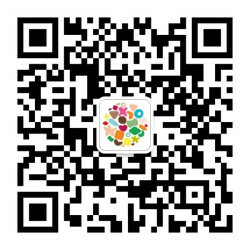 Simply scan a QR code, the menu will pop up on WeChat, then order and pay right from your phone. Step aside Silicon Valley, cities like Shenzhen might be the new hotbed for digital talent. And it’s not just innovation. China’s importance as a consumer is already undeniable, and will continue to grow. Chinese consumers are the top purchasers of luxury goods around the world, and within China the average monthly apparel and footwear sales in the past year have amounted to $120 billion. With a population of 1.4 billion people, bigger than Europe and the US combined, there is no ignoring the importance of this economy in retail terms. The spending power of the Chinese consumer has increased even further as the pound depreciates. Connecting with Chinese denizens in a way that engages both native and travelling segments can be an incredibly lucrative proposition (See how we helped Myer do it). We expect this to become more prevalent in the coming years. Developing markets like India and Africa will also rise in importance for retail growth. What do Apple, Google, Microsoft and HP have in common? Aside from market caps north of $25B, they were all born in a garage. The image of a tinkerer in a crowded garage is firmly part of tech industry lore. Whilst it’s in some ways true, the startup scene is increasingly sophisticated - attracting ever more funding, interest, and talent. Companies whose bedrock is data science, or returns, or fashion styling are having a huge impact on the market, small solutions which have proven to deliver tremendous value. The startup of the fair had a focus on returns, and they already had over 200 virtual warehouses across the world - that’s the magnitude of startup that people are dealing with now. Retailers and brands who can tap into ecosystem have access to some of the most talented people. It’s dangerous to ignore the strength and brilliance of this marketplace, so brands should focus on partnering and inviting these exciting innovators into their ecosystem. Retail digital transformation: fad or friend?